Open Road Integrated Media have published an excerpt from Lawrence Durrell’s Judith as their extract of the week. As we couldn’t agree more with The New York Times in that “Durrell remains an irreplaceable master of English and European literature,” we’re delighted to share an excerpt from Judith, a breathtaking, never-before-published novel of passion and politics, set in the hotbed of Palestine in the 1940s. As ORIM explains, the book was originally conceived as a screenplay for a 1966 film starring Sophia Loren. 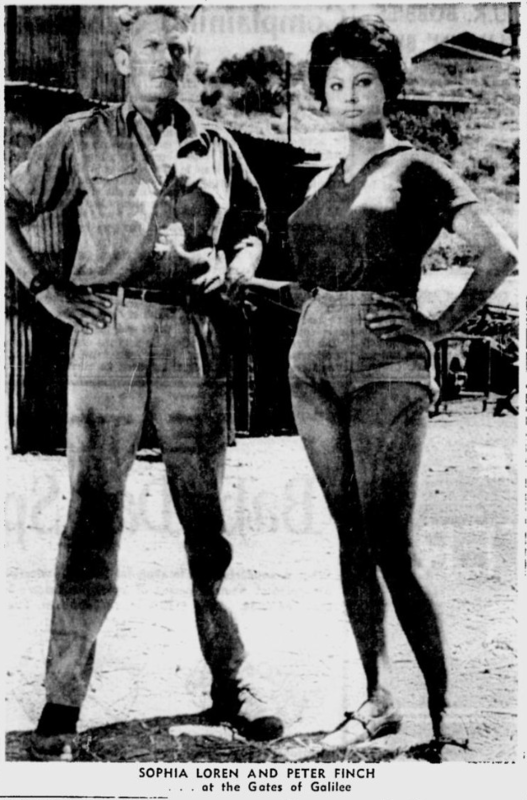 I wrote a previous post about it here, which includes a screen shot of a newspaper article from the time the movie was shot. 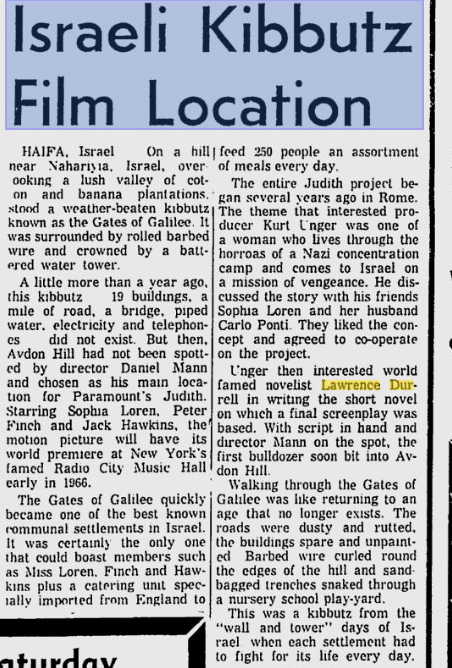 Taken from The Calgary Herald, Jan. 19, 1966, about the filming in Israel of Durrell’s short novel Judith, which was written as a movie script. I believe Judith is republished in honour of Durrell’s centenary, if anyone has any more information please post in the comments. It must have been quite something to have kibbutzniks and IDF national service soldiers roped in as extras to the movie. I wonder if anyone remembers filming with Loren? (I’ll write more later, for now I just wanted to post these images!). To see the images larger, and to be able to read the text, just click on them.